South Africa is a country known for year-around warm weather and beautiful beach towns in the southernmost tip of the African peninsula. It is also recognized as one of the only African countries that had a predominantly white minority rule, which ended with abolishing Apartheid laws in 1990. South Africa’s freedom of the press index is slowly improving. 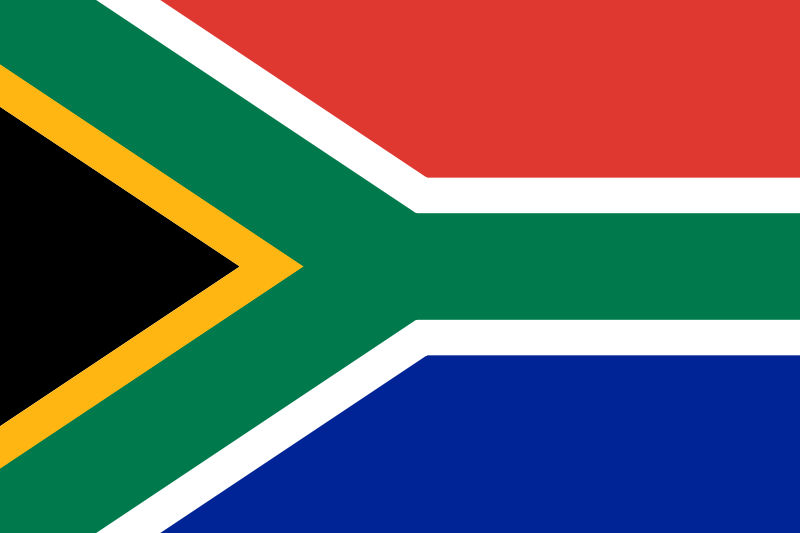 In 2012, Reporters Without Borders reported South Africa’s index number was 42 out of 178 countries. Last year, South Africa’s press freedom index was 38, after falling five places because of attacks on journalists during the FIFA World Cup in Johannesburg and Cape Town in 2010. In 2004, South Africa was rated 26 out of 178 countries — ahead of Great Britain — marking the tenth anniversary of democracy.1 However, despite the decline in index numbers, according to Reporters Without Borders, South Africa is considered to have a satisfactory worldwide press situation — second highest rating out of five categories. South Africa’s freedom of speech policies, or freedom of expression as stated in the South African constitution, is arguably the most liberal on the continent. The constitution states that “everyone has the right to freedom of expression including: freedom to receive or impart information or ideas, freedom of artistic creativity and academic freedom and freedom of scientific research.” In the first 10 years of democracy, freedom of expression started to take form. In South African National Defense Union v. Minister of Defense, the court argued the statutes of expression. The court ruled in the 1999 case that freedom of expression is the heart of democracy, it also said this freedom is valuable because it protects the morality of individuals and it facilitates the search for truth. Under the new government, officials understood citizens need to hear, form and express opinions of all matters.6 The constitution also states this right does not extend to “advocacy of hatred that is based on race, ethnicity, gender or religion, and that constitutes incitement to cause harm.”7 In 2011, a South African court ruled that an anti-apartheid struggle song was hate speech and it could not be sung, in public or in private. The court ruled the slogan “Kill the Boer, kill the farmer,” chanted by ANC youth leader Julius Malema, was hate speech and a violation of the law. The term Boer has many messages. Malema used it as a synonym to farmers, while the white minority found it offensive, as it was a literal threat against them. The song caused quite a stir as it once again started to racially divide the country. Malema was sentence to a two-year suspension from the ANC, but the sentence itself was suspended for three years. Currently, there are two bills against the media that affected the 2010 index number and is still a current issue today: the Media Appeals Tribunal and the Protection of Information Bill. The creation of media tribunals and restricting the disclosure of private information are controversial items affecting South Africa. During a 2008 national conference in Polokwane, a city in the northeastern part of the country, the African National Congress discussed the possibility for tougher sanctions against reporters who publish wrong information. South Africa is a free press country, but the ANC wants to limit the freedom of the media. The Media Appeals Tribunal would help government regulate grievances against the media. The Protection of Information Bill would allow for the government to hold information from its citizens based on national interest, which means matters relating to the advancement of public good and security of the state. If passed, the bill would allow government officials to classify any information it deems sensitive. If a reporter were to disclose any information of national interest, he or she would be sent to prison for 3 to 25 years. The ANC argues reporters who report this type of information are considered to be undermining the nation. In comparison to the United States, South Africa has a similar set of free expression guidelines. In terms of free speech, both countries are fairly liberal. However, the United States, unlike South Africa, has not banned a song from being heard nor sung. If the United States had a case similar to the hate speech case in South Africa, the United States would side with Malema. In the United States, a federal bill passed in 2009 detailed what type of speech is considered hatred. The bill states a hate crime is a crime of violence motivated by hatred of the group to which the victim belongs.9 Hate crime is different than hate speech, someone can commit a hate crime through speech. Unlike South Africa, hate speech does not include songs. There was no immediate violence coming from Malema’s actions, but because it is from a time the country is trying to forget, the speech was considered offensive. Freedom of the press is different. The United States had a similar situation when trying to control the media from displaying information of national security. In New York Times v. United States, The New York Times was sued for publishing documents that are considered of national security during the 1970s. However, in South Africa’s case government officials think the media is undermining the nation if they print articles against the country. In New York Times v. United States, the court ruled that because the publication would not cause an immediate event against the safety of Americans, prior restraint was unjustified. United State’s free speech and free press rights demonstrate its high superiority of leniency when compared to South Africa. Even though United States’ free press index is much higher than South Africa’s, both countries are ranked with satisfactory worldwide press situations. There is no tell how South Africans will respond if policy makers continue to increase restrictions on speech and press. If South Africa cannot maintain a satisfactory situation, the democratic state of the country will suffer. 1. “PRESS FREEDOM INDEX 2010.” Reporters Without Borders. N.p., 20 Oct 2010. Web. 1 Apr 2012. <http://www.rsf.org/IMG/CLASSEMENT_2011/GB/C_GENERAL_GB.pdf&gt;. 2. South Africa. Open Government Partnership. Country Commitments. 2011. Web. 3. “A brief history of the African National Congress.” African National Congress. N.p., 2011. Web. 3 Apr 2012. <http://www.anc.org.za/show.php?id=206&gt;. Apartheid South Africa. 1st ed. 88. Boston: Brill, 2003. 10-11. Print. Democratic Alliance. N.p., 19 Aug 2009. Web. 3 Apr 2012. <http://www.da.org.za/docs/548/Censorshipvictoriabronsstein_document.pdf&gt;. 2009. Web. 3 Apr 2012. <http://www.info.gov.za/documents/constitution/1996/96cons2.htm&gt;. South Africa., 18 Oct 2006. Web. 2 Apr 2012. <http://www.southafrica.info/ess_info/sa_glance/constitution/971558.htm&gt;. on Religious Tolerance, 30 Jan 2011. Web. 4 Apr 2012.